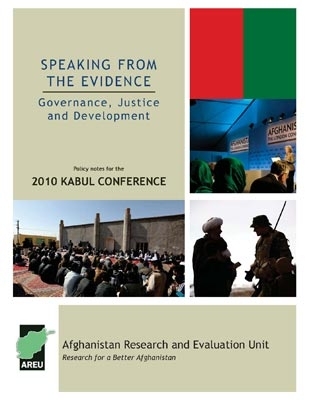 As Afghan and international leaders met in Kabul, following the London Conference earlier in 2010, they sought to commit to strategies that can lead the people of Afghanistan to a brighter, more secure future. These policy notes aim to inform discussion on how to proceed in areas related to governance, justice and development. Based on AREU’s recent and ongoing research, they provide a timely reminder of the evidence base around some key topics of relevance to the conference.